Lauren was a finalist on the first series of BBC2’s The Great British Sewing Bee. Since her time on the show she has left her past career as a physiotherapist in the NHS behind and followed her sewing passion to open her own fabric and haberdashery shop, Guthrie & Ghani, in Birmingham. She now runs her successful business with a team of 5 employees and runs numerous sewing workshops and sewing retreats from the studio above her shop. She has attended consumer shows including the Knitting + Stitching show and Kirstie’s Handmade Fair as a sewing demonstrator, and shares her expertise knowledge and skills on her blog and YouTube channel. She has been a regular columnist for SEW magazine for the past 4 years and has taken on features and commissions for many other sewing magazine titles. 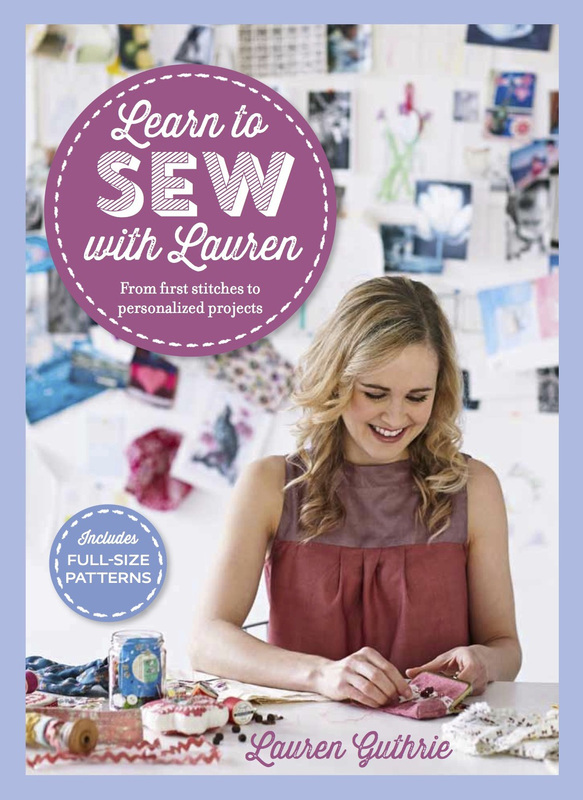 Lauren’s first book, Learn to Sew with Lauren: From first stitches to personalized projects, was published by Octopus. For more information about Lauren Guthrie, please contact Stuart Cooper.